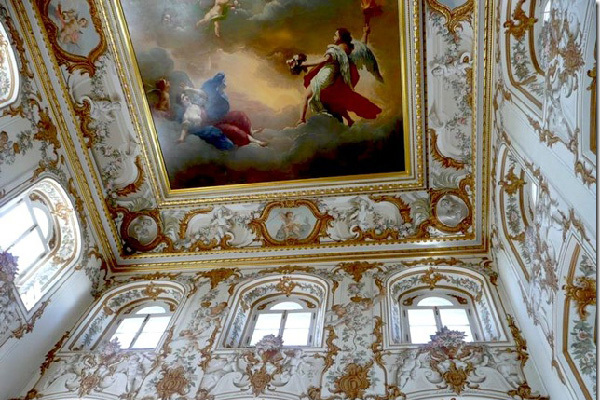 This tour will take you to the suburban town of Peterhof, located on the coast of the Gulf of Finland, 30 km south-west from St.Petersburg, famous for its palaces, parks and fountains. 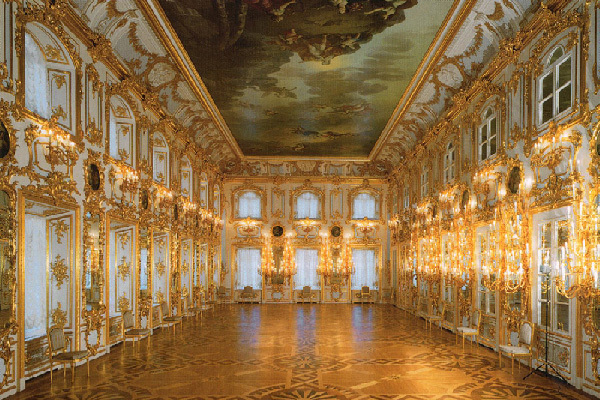 It was an official royal summer residence founded by Peter the Great in 1704 and meant to beat Versailles. 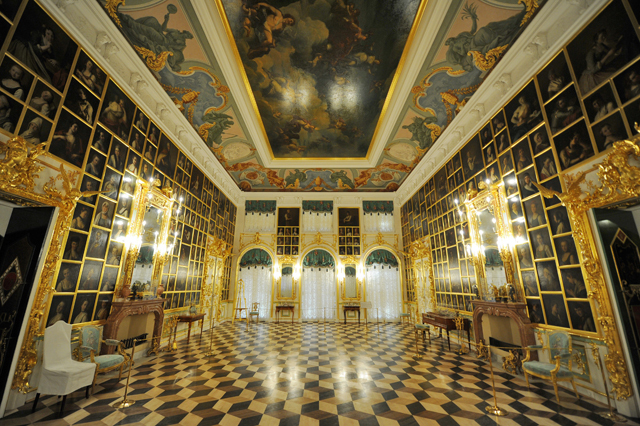 The museum complex of Peterhof is included in the UNESCO World Heritage List. 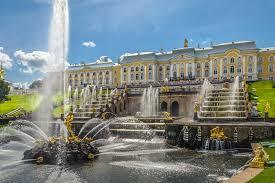 You will walk in the famous Gardens, the elaborate grounds featuring over 150 fountains, among which you will see the breathtaking Great Cascade, the largest fountain ensemble in the world, the Checker Board Cascade, the Monplaisir Garden and the popular trick fountains, illustrating the love of Peter the Great for practical jokes. 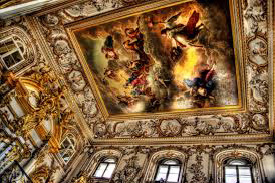 The splendid Grand Palace is one of the three Crown palaces of the Russian royal family, designed for receptions. 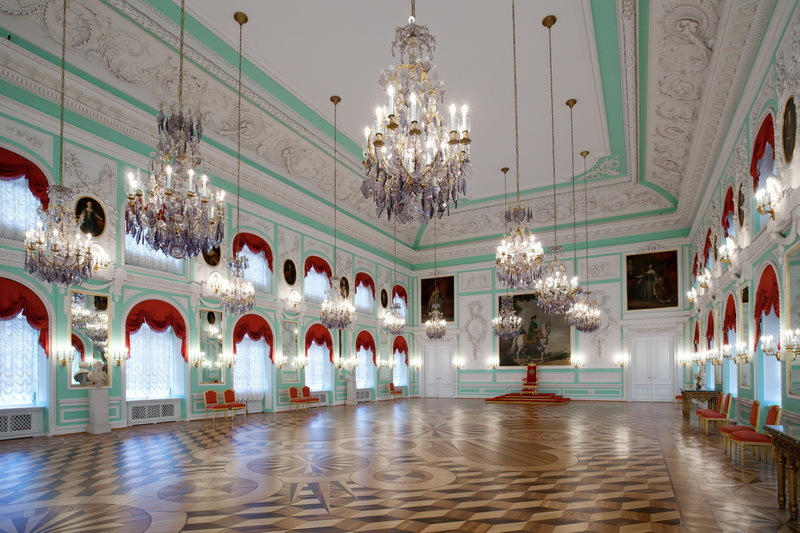 There you will see the stunning interiors, including the Ballroom, the local Hall of Mirrors, the exquisite Chinoiserie rooms and the Oak Study of Peter the Great.